Last week Ray Duffy spotted two banded Semipalmated Sandpipers in DeKorte Park’s Shorebird Pool where the Transco Trail meets the New Jersey Turnpike. 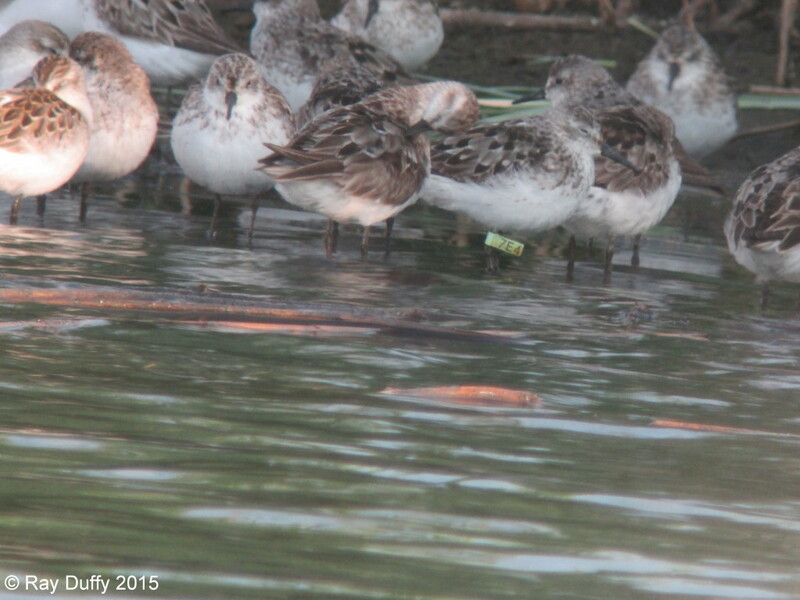 The sandpiper photographed by Ray was banded on May 17, 2013, near Heislerville in Cumberland County. The second bird was banded on May 20, 2013, in Fortescue in Cumberland County. Both sandpipers are believed to have been hatched in 2012 or earlier. Thanks to Ray for the info and photo!